Looking for a designer dress to hire in Ireland? Well that’s perfect because with Girl Meets Dress you can hire designer dress from £29 in Ireland. With Girl Meets Dress you can have the possibility to hire any types of dress in all Ireland. This a really nice short prom dress to hire in Ireland. Here is a beautiful long prom dress to hire in Ireland. This long gown to hire in Ireland is perfect for a cocktail party. This mid length cocktail dress to hire in Ireland, is also great for a cocktail party. This mini cocktail dress to hire in Ireland is perfect for cocktail party. 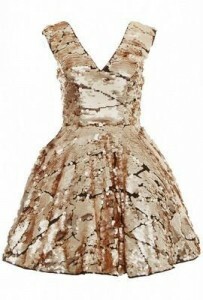 This mini birthday dress to hire in Ireland is very nice for a night out. This long birthday dress to hire in Ireland is perfect for a birthday party. You can also choose to hire by types of dress. This is the perfect ball gown to hire in Ireland. This is a great body con dress to hire in Ireland. Here is a beautiful maternity dress to hire in Ireland. This is a great evening dress to hire in Ireland. Posted February 24th, 2017 in How to Wear it, Uncategorized. Tagged: cocktail dresses, designer dress dublin, designer dress ireland, Designer dress to hire in Ireland, Dress Hire, Dress to hire in Cork, Dress to hire in Dublin, Dress to hire in Galway, Dress to hire in Ireland, Dress to hire in Lamerick, Dresses, Evening Dresses, Fashion, Girl Meets Dress, GMD, hire designer dresses, Hire dresses, long dresses, Maternity Dresses, Maternity dresses Ireland, party dresses, Prom dress, prom dresses dublin, prom dresses ireland, rent a dress, Rent designer dresses, rent dresses, short dresses.